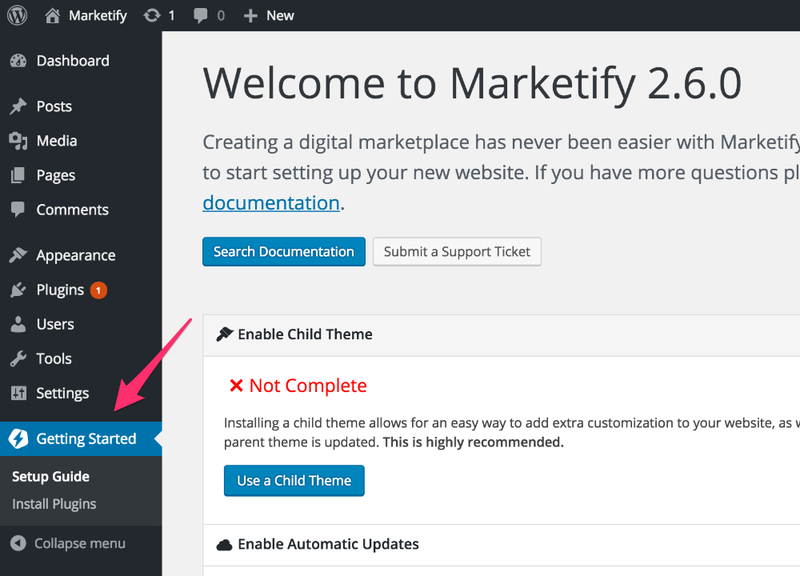 The Marketify theme comes with a new and improved step-by-step setup guide that will help you get the theme setup just like the demo. To use the setup guide, follow the steps below after you've installed the theme. Let's get started! 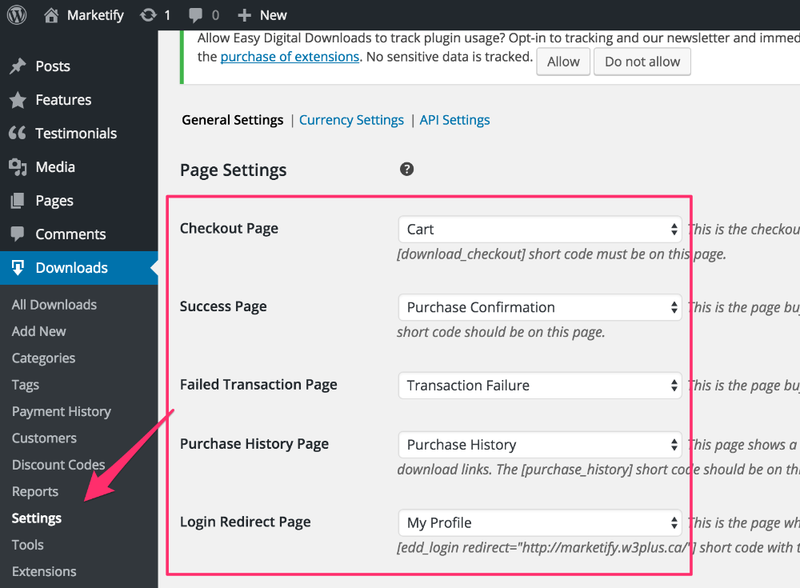 When going through the setup guide, you may be automatically redirected to the appropriate section of the WordPress dashboard to perform the step. However, you will not be automatically redirected back to the setup guide. Make sure you go back to the setup guide (Getting Started ▸ Setup Guide) after you've finished each step. Although this will help you get the theme setup, it will not look exactly like the theme. This is because our demo contains some premium plugins and premium images that are not included with the theme. We also have our customizer settings configured which cannot be imported automatically which means you will need to configure those from the customizer.